Much of the work in the field of automated design is devoted to the research of individual components of automated design systems (CAD), the development and improvement of mathematical models of design objects, algorithm implementation, creating databases, creating and configuring user interfaces. However, the formation facts of a complex architecture of CAD and interaction of its various components have not been properly studied. Integration components being responsible for data exchange between different groups subsystems, both own and third-party developers, take the central place in the architecture under discussion. The paper presents the software of interaction between CAD and CAE systems based on the analysis of STEP, XML, DXF data formats. The software allows to perform conversion of CAD-model in the desired CAE-model by simplifying and specifying significant layout indicators. This module is the basis for developing an integrated CAD. Keywords: CAD-model, CAE-model, integration, data format, software, extruder. Kartashov L.P., Zubkova T.M. Parametrical and structural synthesis of technological objects basis on the system approach and mathematical modeling. – Yekaterinburg: URORussianAcademy of Sciences, 2009. 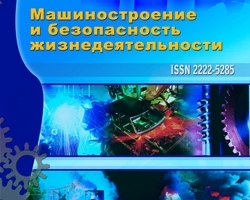 – 211 p.
Mustyukov N.A., Zubkova T.M., Koryakina M.A. Certificate of official registration the computer program No. 2011612043 Calculation of technical and economic parameters of single-screw extruder / ROSPATENT – No. 2010617272 – It is declared 19.11.2010. – Publ. 05.03.2011. Poleschuk N. AutoCad2004 Development and adaptation of applications. – SPb. : BHV-Petersburg, 2004. – 624 p.